I am so thrilled about this event it is hard to know where to start. You are not going to want to miss this opportunity to meet and learn from Pamela M. Covington! Saturday, August 4th from 1pm to 3pm Dog Eared Books has the absolute pleasure of hosting and author talk and signing featuring Pamela M. Covington. Pamela is a motivational speaker, author and advocate. 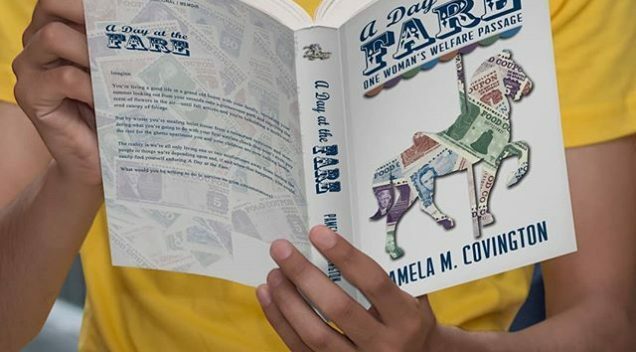 On Saturday the 4th, she will be sharing readings and speaking about her book, A Day at the Fare: One Woman’s Welfare Passage. Pamela will be available for Q.A. and her book will be available for purchase. You’re living a good life in a grand old house with your family, looking out from your veranda onto a beautiful park and delighting in the smell of flowers in the air — until fall arrives and you’re beholding a multicolored canopy of foliage. But by winter you’re stealing toilet tissue from a restaurant restroom and wondering what you’re going to do with your first welfare check that won’t even pay for the ghetto apartment you and your children are now calling home. The reality is we’re all only living one or two misfortunes away from losing people or things we’re depending upon, and if and when that happens, you could easily find yourself enduring A Day at the Fare. Now Pamela is on a mission to empower others. As a professional speaker she is focused on topics like motivation, self-esteem, literacy, education, and welfare independence. She offers speaking presentations and workshops for non-profits, colleges and businesses. She is again in Washington D.C. addressing congress members and staff to advocate for people who require public assistance. She is a poverty and literacy advocate. Pamela Covington has a way with weaving words and story telling that leaves one being for more! We can’t wait to hear her today!